As a young lad of 34, I moved to a yoga community in the remote foothills of the Sierra, 10 miles outside Nevada City, in California’s Gold Country. It was 1976, when the Sixties were rapidly becoming apart of our cultural past, and many former hippies had jobs – as teachers, in health food stores, doing art, attending PTA meetings, and making music. I didn’t have a car, and when my material needs took me to town, I hitchhiked. My record was five rides in two hours, there and back with spurs to various shopping centers. Often, I would be picked up by a gracious, cheerful young gentleman in a Toyota 4×4 who had waist-length hair and wore sandals and a loincloth – nothing else. You know what? I believed him then, and I believe him still. I continue to find the evidence everywhere, even in the sports pages. Here in the Bay Area, we’re blessed with any number of wonderful sports cultures, from the Steve Kerr-era Warriors to the Stanford men’s and women’s soccer and water polo and track and field and basketball and football – well just about all of the Stanford teams, frankly, to the rebuilding Forty-Niners. And, well, man, love is everywhere, and it freely crosses the boundaries between sports and life. Which is all a way of leading up to my usual riffs on joy and love in sports and education, and how success attends these qualities when we link them to hard work. In the last year, I’ve been fortunate to be instrumental in publishing two deeply engaging books on education. The first was Head & Heart: How a balanced education nurtures happy children who excel in school and life. 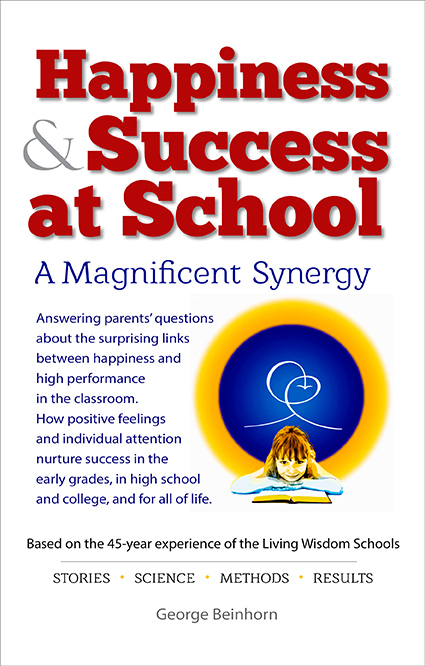 The second, tentatively titled The “Feeling Years” From 6 to 12: Happiness and Success at Living Wisdom School, will be published by the end of May 2018. If you’ve spent time on these pages and enjoyed what’s offered, I’m guessing you’ll feel at home with the notion that happiness and success go together — in sports, in business, in relationships, and at school. Speaking for myself, once I figured out what it takes to be happy as a runner (and now a 76-year-old recreational cyclist), I found that success came, if not effortlessly, at least and very importantly, together with joy in package with a shiny bow. After many, many hours, I’m nearing completion of the editing on the latest book. It’s been a dickens of a sweat, as any of you will understand who’ve written long-form documents. I remember Joe Henderson, the long-ago Runner’s World editor, cautioning me, in 1972, that the words we write in the evening and that seem to purr with golden light, will look like dung in the morning, and that it’s best to keep plowing them for several days before letting them go. 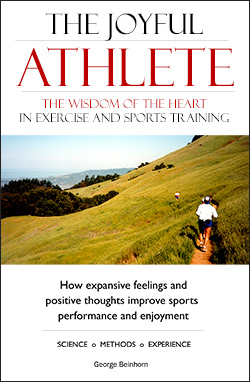 Both books, but especially the second, make powerful arguments, based on scientific research and the experience of teachers, sports coaches, military officers, Google execs, admissions officers at elite universities, and Harvard freshmen, in support of the idea that happiness and high performance go together. It’s a principle that is hardwired, quite literally, in our hearts and brains. Researchers at the Institute of Heartmath have found that the heart can perform much more efficiently in the presence of expansive feelings such as love, kindness, compassion, forgiveness, inclusiveness, and joy, than in the presence of neutral or, worse, negative feelings. And brain researchers long ago discovered that success factors such as will power and concentration, and the ability to form and persevere in achieving long-term goals are localized in the same area of the brain as happiness. Further, they found that those “success” centers exist in a dynamic, two-way relationship with the centers where harmful or at least unhelpful emotions are localized in the amygdala. The takeaway being that deep, relaxed, deliberate concentration in the forebrain draws energy away from negative emotions, sapping their energy and making it available for the positive thoughts and feelings that fuel success. It’s all terrifically inspiring, but the proof, for me, is when I visit our Palo Alto Living Wisdom School and see the ideas in action. Think of a school where the kids are able to learn in an environment where they feel safe talking freely with the teachers, where they feel safe talking with each other and with the older kids, and safe making mistakes, which are seen as a necessary and even joyful part of the process of finding solutions. Think of a school where there is no obsession with grades or test results because the teachers devote ninety-nine percent of their time to helping each individual child succeed at their own level, and where the grades and test scores are exceptional as a result. Think of your sports training. Isn’t it a lot like a Living Wisdom School classroom? Don’t you feel best when you work with yourself your own honest level? Where you listen to your body and respect the still, small voice by which it talks to you – never forcing your body through a workout, obsessed with “making the numbers”? Do you perform best in the presence of calm, positive, inclusive feelings? Are you able to get over your mistakes most quickly and cheerfully when you cheerfully accept them as a natural part of the journey? Update. 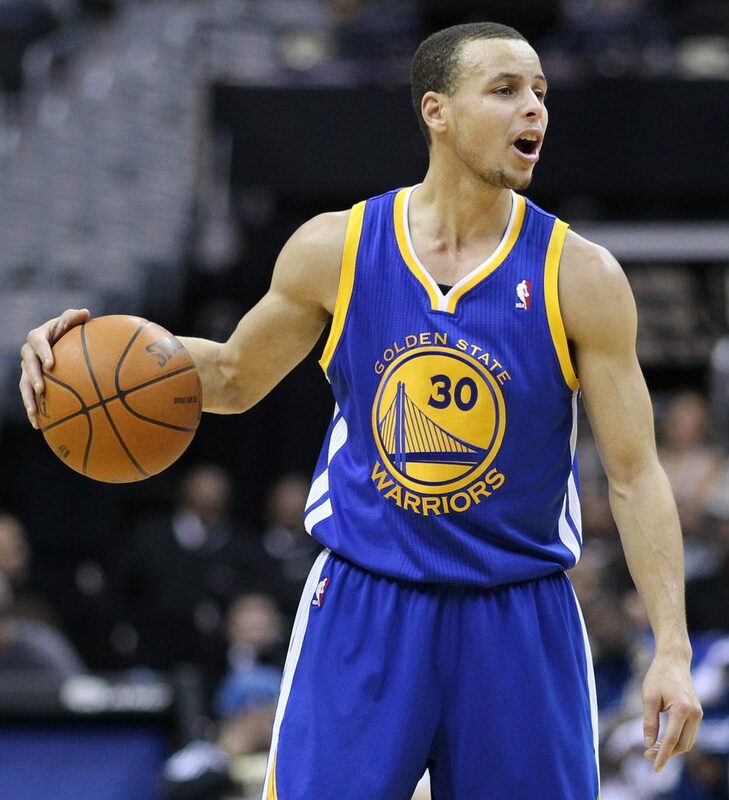 By the way, here is an inspiring update to the Stephen Curry story referenced above.